Los Angeles | Remains of L.A.
It’s been an insanely long time since I last posted. Sorry about that, all sorts of other things going on, stuff kept getting in the way. I walked the length of Wilshire Blvd, and then got really into Instagram for a while, and there was the Summer of Doing Things, and this fall I went to London for two weeks, plus all the various projects I’ve been working on. Somehow I kept never updating this blog, even though I love it so much. But now! Here we are. I’ll try to make sure you don’t have to wait so long for the next one. 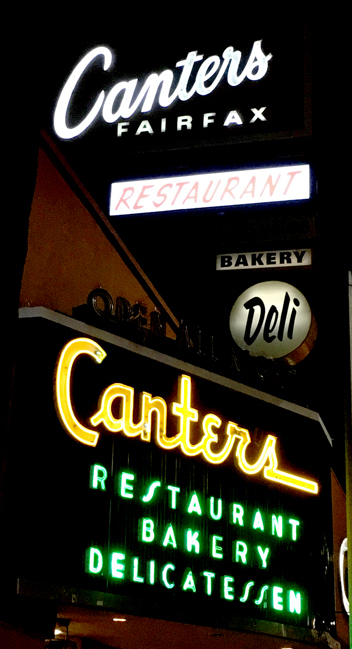 Categories: Restaurants | Tags: counter, deli, delis, downtown los angeles, dtla, Los Angeles, nostalgia, pastrami, retro, sandwiches | Permalink. 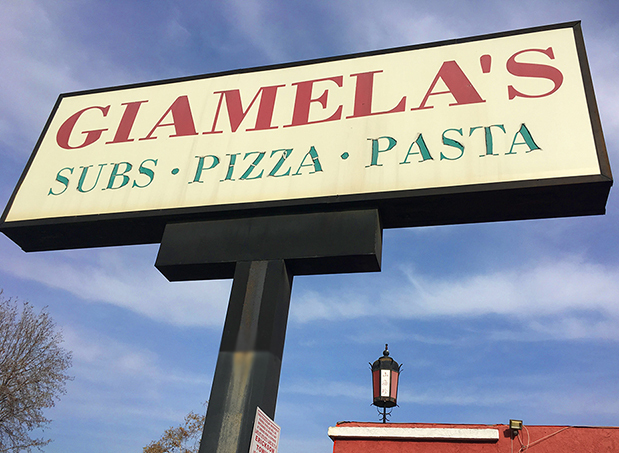 My friend JT and I wanted both lunch and exercise, so we decided to walk the two miles from her place in Glendale to Giamela’s in Atwater Village. It’s a lovely walk, and it was one of those beautiful warm sunny winter days that make you remember why you moved to Southern California. 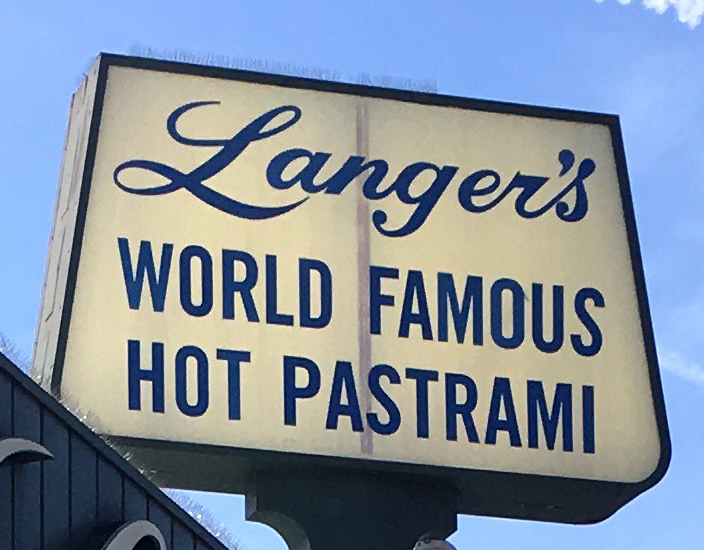 Categories: Restaurants | Tags: Atwater VIllage, historical Atwater Village, historical L.A., historical los angeles, Los Angeles, los feliz, nostalgia, retro, sandwiches | Permalink. When the news came that Tom Bergin’s was shutting down (or maybe staying open but not serving food anymore)? Or maybe shutting down but not quite yet? It was all very unclear) I was horribly sad. 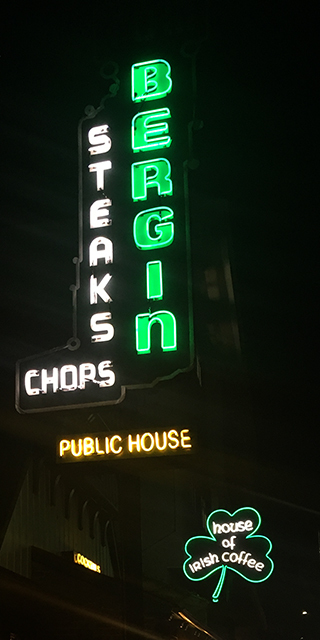 I hadn’t been in years but I’ve loved it every time I’ve gone, and I know a lot of people who call it their favorite bar. I called my friend Suzy —who has spoken fondly of the place — and asked if she’d liked to pay last respects, and we headed over one Wednesday night after work. Categories: Restaurants | Tags: bar, historical Hollywood, historical L.A., historical los angeles, hollywood, Irish, Los Angeles, nostalgia, pub, retro, sandwiches, vintage | Permalink. When I learned that Twohey’s was closing at the end of January, I decided to go there for lunch while I still had the chance. 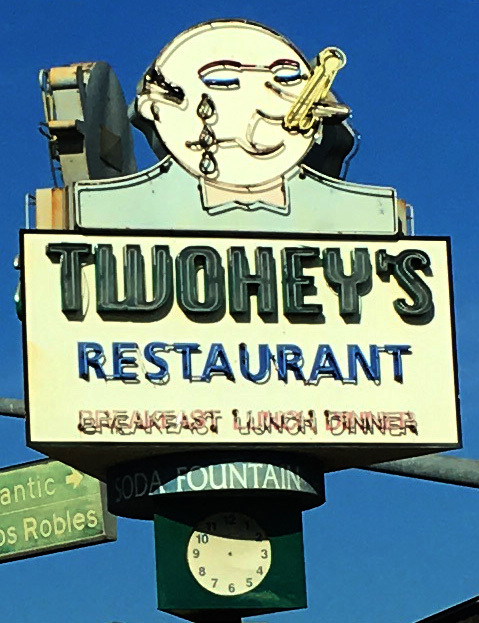 Twohey’s is right near where I lived in South Pasadena years and years ago, but I never went —never even knew it existed. 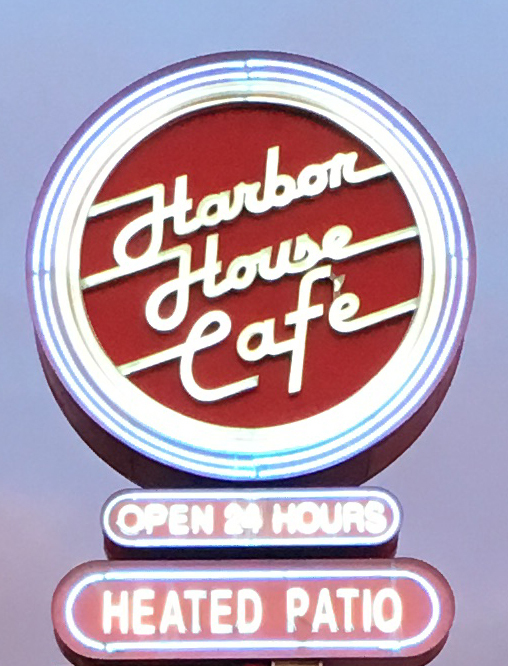 As soon as I saw it I started kicking myself; it is the sort of old coffee shop/diner I most love. I would have been there every day, if I’d just paid a little more attention to what was around. Categories: Restaurants | Tags: 1943, Alhambra, Coffee Shops, counter, Diners, Googie, googie diners, Historical Pasadena, Los Angeles, nostalgia, Pasadena, Restaurants, retro, sandwiches, vintage | Permalink. It’s a chain (of “gastropubs”) now, but the original Barney’s Beanery is in West Hollywood and was the only one for more than seven decades. I was in the area and wanted lunch, and it seemed like a good idea to go during the day instead of at night when it was so full of people I’d feel weird sitting alone in a booth taking pictures and writing in my notebook. Categories: Restaurants | Tags: historical Hollywood, historical los angeles, hollywood, Los Angeles, nostalgia, Restaurants, retro, west hollywood | Permalink. Categories: Restaurants | Tags: 1953, Coffee Shops, deli, delis, favorite, historical Hollywood, historical L.A., holly, Los Angeles, nostalgia, retro, vintage | Permalink.